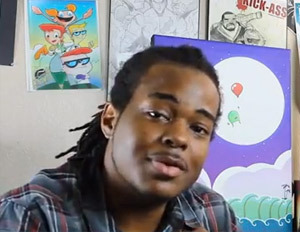 How did you make the leap from budding cartoonist to starting your own game company? A good friend of mine and indie game journalist of DualShockNexus, Jeff “Treezy504″ Rodgers gave me the idea to start my own company. Along with working with EA [Electronic Arts] to create designs for Sims: Pets. Those two factors influenced me to make games and start my own company. What was your experience like working with EA, one of the largest and most successful game developer/publishers in the gaming industry? I learned how there is no “I” in team and how teamwork is crucial and vital in executing projects. Plus, learning how the pre-production process of planning out concept art for future game character models. Another opportunity I was able to experience was being able to learn from the founders of Electronic Arts on how they began as a startup company without a large backing or amount of employees. 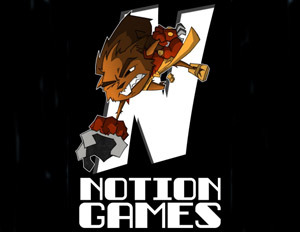 It was very inspirational to give me a push to start Notion Games to create my own video games. Up Up Ubi is your first video game title; how did the game come about.? Up Up Ubi was a concept that was made up on the fly. It started out as having a character bouncing on balloons. This simple concept of Up Up Ubi went from a simple concept to a complex one once we included important [elements]. We actually changed the concept four times for this project… I also wanted to have a really great soundtrack. Streets of Rage 2 was the game for me that had a great soundtrack that I can remember forever. I wanted to add that same effect to my games. It’s another important factor in games today. You featured a gamer dev diary on YouTube showing the makings of Up Up Ubi. Did that promotional strategy help in getting the word out and giving gamers an idea of what the game is all about? Yes it has. The indie and underground game community really showed support and spread the word on social media sites. As a startup, what challenges have you experienced getting Notion Games off the ground? Companies or games that are favored or have a large publisher and funding can take the spotlight without even earning it. In the app store this happens a lot for the featured list. Up Up Ubi had a good number of downloads and reviews when it debuted in the store. The problem was another game also debuted but didn’t have a lot of downloads and reviews, but since the game was backed by a popular indie fame publisher it overshadowed our game. The app store makes it very challenging for further exposure. Do you have any more projects that you and your team is working on now or in the future? Right now we are working quite a few projects. Creating a [download] for Up Up Ubi, which is going to be free. I believe having it free shows appreciation to everyone who showed support in buying. Also, working on a mobile game called Knockout Dodge Ball, which will have a Nintendo Super Smash Brothers concept that will include all of the characters I’ve created for Notion Games. To add on, Notion Games has partnered up with a company named Produce to create a promotional mobile game for a restaurant called SushiBAR in Corpus Christi, TX. The game is called Sushizoo, basically the concept is about making sushi for the character of David Lee as fast ad you can. Another project we have in store is creating our own engine for our future games. Also Team Notion, which is in the making. With all of these projects on deck is Notion Games seeking to expand in terms of staff? We are currently planning to reach out to universities and potentially high schools for interns. Since we are small and just starting out the help by dedicated and serious people is very much needed. We have experienced some people who did not take the opportunity seriously, so reaching out to students would be great. For anyone looking to follow in your footsteps; what would say is the hardest thing in game development to focus on? It depends on the role you want to have for as a career, but in general the most important thing is being honest with yourself. Polishing designs, environments, coding, etc. is key. If I make a game and it’s boring or don’t want to pick it up again then I would keep remaking it over until I get it right.